$695. 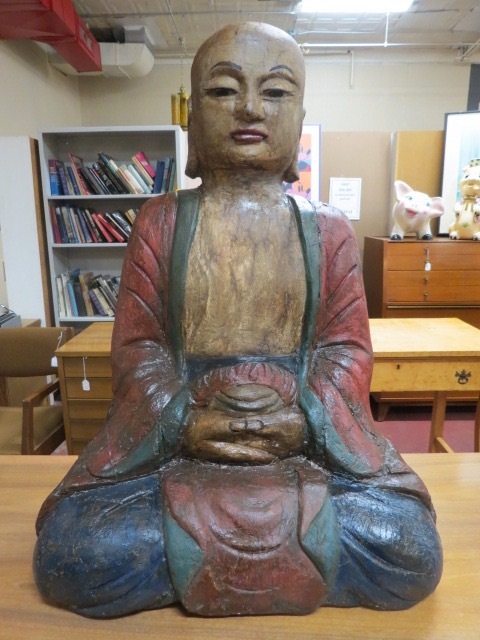 Vintage antique large carved wood Buddha c. 1800s. Carved wood and gesso Buddha in green and burgundy painted robe and pants. Sitting in the lotus position. Very old, paint is crackled. Add a peaceful presence to your life! Very good condition. Measures 29” tall, 20” across base, and 12” wide at base.